If your little one is itching to get their hands on a building set but LEGOs are just too small for their hands, motor skills, and understanding of safety regulations (yeah, we see you trying to put the brick up your nose and then in your mouth, little Timmy), Mega Bloks are a solid alternative. These building sets are designed with children ages 1 to 5 in mind. Shipped out in bold, bright colors, they appeal to young eyes. Large and easy to snap together, they’re perfect for small hands still trying to work through hand-eye coordination. Small enough to still be graspable, but far too big to choke on, Mega Bloks are a great starting point for little ones who love creating their own buildings, towns, and various structures. Mega Bloks has developed into a multi-faceted company over the years. While their more classic lines continue, they’ve also implemented something called Mega Construx, which allows children to build the worlds they already know and love. From Pokemon to Despicable Me to Halo to American Girl, these sets read more like themed LEGOs. The parts are smaller, which means they’re not ideal for toddlers, but the complexity of the builds (and, honestly, the franchises they’re modeled after) are great for older kids. Below, we’ve collected 10 of the most popular Mega Blok sets for your little one to get creative with. From nondescript bags of blocks to community sets with little people in them, we think you’ll be able to find just the right fit for your family. Mega Bloks offer younger children the opportunity to build just like their older siblings. We have recently updated this buying guide to include a couple of new options and have reviewed all other products to ensure they are still available in today's market and that the features and costs are still accurate. Mega Bloks has created a set, that in keeping with the spirit of gender equality can be played with by both boys and girls. However little girls are sure to love these bright teal and pinks bloks. They are bright and aesthetically pleasing, offering a soft feminine touch to an already incredibly popular children’s toy set. When children are little and learning to walk, they are clumsy and fall down countless times. Keeping this in mind it is important to find toys that will minimize injury, these lightweight plastic toys have smoothed edges that are intended to do just that. This reasonably priced set comes complete with a sturdy storage bag that makes travel hassle-free. The toys are easy to stack and put together preventing children from struggling and becoming frustrated. The 80 piece set comes with the option of a wheelbase or not, pricing may vary depending upon this factor. This set is safe for play, by children as young as one and can combine with other Mega Bloks building sets for more fun and endless possibilities. Children learn and grow by making their own explorations and discoveries. Captivating senses and asking questions about how things work are two of the most efficient manners in which children can expand their minds. Hands-on playtime is an important and fun aspect of helping children to learn about the world. These blocks promote hands-on play and stimulate the senses, sight, and touch. Upon piecing together different or the same colors in any particular order, children also improve pattern recognition and learn to be more conscientious and detail oriented. Creations may easily fall apart upon transport. This color scheme is meant to excite little girls and promote gender equality. The Block Buddy driver is ready to pick up the kids for school! And if your little ones see a little too much of the bus already, there are plenty of other community helpers in this line to choose from: Dylan and his Dump Truck, Freddy and his Firetruck, Peter and his Police Car, and Susie and Sonny and their School Buses. Each set comes with roughly six building blocks to construct the miniature vehicle and its driver. Some of the sets include interior storage for more blocks and removable roofs. These little kits are darling additions to any Mega Blok collection. Toddlers especially will fall in love with them, as they work through pre-K curriculums, which often focus at some point on our community helpers and their very important jobs. These little building sets give children ages 1 to 4 the chance to build a mini-project of their own with blocks and assembly that are tailored just for them. Each set comes with a driver buddy, making role-playing fun, friendly, and accessible. These adorable little buddies have big, friendly faces and most of them complete noble and noteworthy community duties kids will learn about in school. The cars are a great size for little hands, and the assembly is pretty basic. Dump trucks are already an incredibly fun toy, combine that with the fun of Mega bloks and you have a toy that will blow minds. Children will be so amazingly excited about pretend play and acting out as though they are construction workers or even delivery drivers. There are 25 blocks included with this set additionally it comes with a construction worker included. Safe for children as young as one, the most exciting part about this dump truck is its ability to lift and tilt the back bin as though it were a real construction dump truck. The large size of this truck makes it a great one for helping toddlers learn to walk and balance. It can also do wonders for developing spatial awareness and the development of gross motor skills. Additionally, this kind of pretend play can express to children the importance of road safety and the dangers that can be found when working with large motorized vehicles. This toy is designed with a sturdy construction to provide both fun and functionality. The wheels may fall off and need to be reapplied. To preserve the integrity of our roads and buildings, construction workers are essential. This fun dump truck set excites children about the notion of working with large tractors and trucks. Offering the most pieces of any on this list, this set can be combined with any other Mega Bloks set to ensure hours of variety during play time. With the more pieces comes the ability to make larger structures and towers. Children are given an inside look of the basic fundamentals of what it takes to be an architect. Despite its large number of pieces, this set is incredibly priced giving you and your child something to be excited about. With 150 pieces of fun, this bag set can be used for so much more than just building. At the end of playtime, clean up is super easy. Just throw the pieces into the durable and reusable storage duffle bag. This bag is made entirely free of PVC and will make life just a little more hassle-free. Also part of the one to five age group, this is great to inspire children to stretch their minds and create endless possibilities. In addition to inspiring creative play, the blocks can help your children play fun games together or with you. You and your children can together create several fun games that involve activities like sorting by size or color. Children can learn to count and recognize colors and patterns. Doing so will, in turn, improve memory and cognition. This set does not feature characters or come with wheels. The pieces easily fit together making it a perfect starter set, easy for little hands and fingers to maneuver. Engineers and mechanics are a vital part of ensuring our possessions function both safely and efficiently. The self-pick up wagon functions in a manner that can help children to understand simple pulley concepts, giving them a glimpse into the vast world of STEAM. Inspiring pretend play, this wagon set can be used to cart toys around the yard or take a walk to the park. Coming with 20 of its own bloks, this wagon is compatible with all first builder sets giving children added fun and possibilities. Beneficial to parents, clean up and storage is hassle-free. As the wagon is pushed in motion, it picks up the surrounding blocks and provides enough space for plenty of storage. Children learn to problem solve and what it means to be responsible in a fun and lighthearted manner in the hopes they care these skills with them always. Wagons provide great fun and can be used as a storage kit to keep outside toys safe. We love to pull and ride in them and children are no exception to this. This manner of play can improve several skills that are essential for healthy brain development. Infants are learning to balance and walk, this wagon can provide a stable aid for children to hold onto while in motion. They soon work through the chaos to achieve better balance and coordination. This development of skills is known as gross motor and affects how our muscles function together. This set is on the pricier side. This brightly colored wagon can help excite your little one about the idea of cleaning up. It can become a fun game. Portability is so useful when it comes to keeping our children occupied because they like to be close by wherever we are. You can quickly and easily move this table from room to room so your children never feel left out or alone. Inspiring creative play is one of the most important benefits offered by this table. The style of play this table is geared toward gives a very basic introduction to engineering. There are two rolling bases included in this set that can be built up as cars and several track patterns for hours of fun and imagination. It is compatible with all mega blok sets to increase the possibilities and give children a fun an exciting outlet through which they create amazing masterpieces. Twenty blocks are included in this set as well as the removable table top tray and legs. It’s ability to break down makes for hassle-free storage. To help improve balance the Build n’ learn table offers a benefit not many think of, it provides sturdy support that can be used as an aid for children who are learning to stand and walk. Social development is something that has to be learned. When children find themselves surrounded by people of all ages, making special care they have time to bond with others their own age, they learn the importance of coexisting together in harmony. Combining both learning benefits and social benefits this table will provide children with so many opportunities that allow them to see the significance of sharing and taking turns with one another. The table is on the pricier side. There is no storage bag. The top tray piece of the table can be removed and taken anywhere, providing a playspace no matter where you are. Choo-choo! All aboard this quaint little learning train! With Mega Bloks First Builders kit, you can help young ones learn to count by volume, numbers, and shapes. There are 44 blocks total, as well as three wheel bases, three building plates, and a sticker sheet. Just the right size for little hands, these blocks attach and detach easily for frustration-free play. They’re compatible with all Mega Bloks First Builders sets so children can mix, match, and build to their heart’s content. The stickers help children learn to count their blocks in creative ways. Some are numbers, others are images such as dice, or a number of objects all collected together that children will have to count as they work out which numbered block it is. And you put the stickers on yourself, so you can customize your set to look just how you’d like! These blocks will help children work fine-motor skills, hand-eye coordination, problem-solving skills, and basic counting. The wheels make the train functional, enabling it to be used easily during imaginative play as well. This nifty little learning train is a cute, colorful set for kids still learning their numbers. They can decorate the blocks with stickers and you can help them count out their cabooses as they take their train apart and put it back together. Meant for ages four and up this set comes complete with micro action figures of Captain Kirk and Mr. Spock. Each comes with his own accessories including phasers and communicators. There is a display stand so children and their families can, for weeks to come, admire their creations. The pieces are compatible with all other Star Trek sets allowing for interchangeable pieces and colors presenting to children the opportunity to add their own personal touch. For an added bonus the ship features working LED lights that will make any child beam. This set is designed to be a fully authentic replica of the U.S.S. Enterprise. You and your children can together have the opportunity to fully immerse yourselves into a world of imagination and fun. This set can give families the opportunity to bond over a common hobby that combines a love of building with the love of Star Trek. The small parts of this set may pose as a choking hazard for smaller children. The sophistication offered by this set makes it an ideal one for parents and their growing children to do together. All little kids love a dollhouse. It can give them a sense of home and is great for emulation play. Now you can combine the joy of their very first dollhouse with the excitement of stacking and building with the Mega Bloks First Builders Cozy Cottage Building Set. This 41 piece building set provided all the tools your child needs to create a towering two-foot tall penthouse perfect for the little girl Block Buddy and her cat. Expand their creativity with the non-standard pieces incorporated in this set such as doors, windows, and even a seesaw. The blocks come decorated with designs like ivy, house numbers, trellises, lampposts, and more. The windows and doors are even able to open and close! Two Block Buddies that are specially made to fit with all of the Mega Bloks First Builders sets are also included, the Girl and the Cat. This set is guaranteed to provide stimulating entertainment for hours! Building with blocks is an ideal way to help your little one develop their fine motor skills as well as hand-eye coordination. Mega Bloks are specifically designed to be easily put together and pulled apart to help small fingers manipulate the large pieces and this can help reduce play time frustration. This adorable cottage building set is ideal for providing open-ended play that encourages creativity and imagination. The scene provides ample opportunities for your child to engage in pretend play and hands-on exploration, two important facets that help stimulate cognitive development. This set makes a great addition to your little one’s Mega Bloks collection since it includes several non-standard pieces such as windows and doors. There is something that children find innately fascinating with large vehicles. School buses, garbage trucks, tractor trailers, but nothing interests little ones more than construction vehicles. These bright yellow machines are loud, dirty, and enormous...all of which they absolutely adore! If your little one’s sandbox is filled with dump trucks and bulldozers, then the Mega Bloks Ride-On Caterpillar with Excavator is the perfect toy for you! This 3-1 ride-on toy features realistic CAT details from the headlights and grill right down to the bumpers. They can even enjoy the realistic sounds of a construction site utilizing the buttons on the wheel! The excavator arm really works, pivoting up to 360-degrees to scoop up all of their wayward blocks. Speaking of blocks, not only does this ride-on set include 10 CAT themed blocks, the seat of the Caterpillar actually lifts up to reveal a storage space perfect for keeping all their blocks in one place. All that's left is a hard hat and your little one will be right at home in a construction site of their own making. Ride-on toys provide many health and developmental benefits from constructive energy depletion to gross motor skill development. They can also be used to assist early walkers by providing a safe wheeled device for them to lean or sit on as needed. Building blocks also assist in the development of fine motor skills and bolster creativity. Together this set can supply your child not only with an exciting new way to explore their creativity and imagination but also with the tools they need to become more proficient walkers. Part ride-on toy and part building blocks, this Caterpillar themed playset it perfect for any little one who has an interest in construction vehicles. Mega Bloks is a great activity that provides some really incredible benefits for children. They can provide hours of fun in addition to helping children gain an understanding of the physics and spatial awareness that is required to create the incredible churches, bridges, and buildings we are surrounded by. These beautiful structures require precision and care in order to ensure our safety and well-being while we inhabit these places. Building and creating structures from a very early age can help to form a solid understanding of these concepts in the most fun and basic manner possible. Mathematics, physics, mechanics, spatial understanding and a small dip into chemistry are just some examples of the skills necessary to create safe and beautiful structures with intricate designs added for aesthetics. By building with these blocks, children can heighten their understanding of spatial awareness and improve hand-eye coordination to properly understand the dimensions of what they are building. In addition to being designed for building, these plastic blocks can be categorized by color, shape or size and counted by the section. This provides parents with a fun activity to do with their children in order to help them gain a basic understanding of numbers, colors, and shapes. Sensory development is essential for healthy brain function. Sight and touch are examples of the sensory experiences offered by these blocks. The textured bumps on top and bright colors are meant to stimulate these senses. For children who suffer from hypersensitivity, a set like this is far more ideal than other toys that feature lights and sounds. There is, however, a really cool ride-on toy that does make noise and a set for older children that lights up. 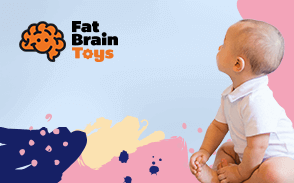 While these toys can be great for children, children who suffer from developmental roadblocks can become easily overstimulated. In turn, this can cause them to become easily frustrated or overwhelmed. Large holiday parties or family functions can cause a lot of anxiety but these sets can provide children with a quiet activity that will give them a break from too much stimulation and help them to focus their attention. This allows their brains to recharge and give them better control over their senses and emotions. Our brains are one of the hardest-working organs in our body. In them is a surplus of tiny links known as neurological pathways, which are developed and strengthened through repetition. There are several daily activities from holding groceries to unlocking our front doors that utilize these links. For children, finger dexterity and motor skills, both fine and gross, are simple and necessary skills to build. The blocks in these sets do wonders for children’s spatial awareness and problem-solving skills. The large pieces are designed to easily be manipulated by little hands and fingers so Mega Bloks makes a perfect starter toy to prepare children for other building sets with smaller pieces. Snapping the large pieces into place and creating intricate masterpieces, children can stimulate their brains and help strengthen neural pathways and fine-motor skills. Children have an enviable amount of energy and while there is no adequate replacement for physical activity, sometimes utilizing and stimulating the brain excessively can offer a temporary solution. By exercising their brain power, children can release some pent-up energy and focus their attention to calm down. Mega Bloks are a great aid as they allow children to tap into their creative sides and stretch their imagination to stimulate their brains. All ages can reap the benefits and partake in the fun of these sets. The pieces are intended to be large enough for toddlers to safely play without the risk of a choking hazard. They are all recommended for ages 1 through 5 but can be fun for children who really enjoy building, no matter the age. If you notice your child is highly determined and often manages to achieve the impossible, you may want to seriously consider adult supervision to avoid any mishaps that may occur. There are a few sets on this list that are geared more toward children ages 5 and up. These can be great for bonding with children who may feel a little ignored since the arrival of a younger sibling. Smaller children can play with the bigger piece sets meanwhile you and your first baby can reconnect over your own intricate and fun creations. Family time spent laughing and playing together is essential not only for healthy brain function but also a happy life. The colorful building pieces and wild imaginations of children combine to provide hours of fun and stimulation that will inspire a passion for learning and create long-lasting memories. The sets promote an afternoon building as a family to promote quality time spent among children, parents, and siblings. Children are provided with an outlet to expand the mind and help keep them occupied no matter where you are. Q: How do these compare to other plastic block sets? A: These are larger in size fit together with less force making them perfect for smaller children. Q: Are these blocks BPA-free? A: These blocks are made of a plastic composition known as polypropylene plastic, it is BPA- and PVC-free. Q: Where are these sets manufactured? A: These sets are manufactured and distributed from Canada. Q: Are these sets compatible with LEGOs? A: No they are not of the same size or materials. They can, however, be used with other Mega Bloks sets or LEGO Duplo sets. Q: Do these sets come with instruction manuals or idea booklets? A: Yes, some sets do provide a list of ideas to help get your little one’s creative juices flowing. Q: Do some sets come with wheels? A: Each set is themed so wheels may not apply to all sets, there are a couple on this list that are designed to inspire cars and other motorized vehicles.